If you’ve got any talent at anything or if you’re interested in making a bit of a fool of yourself on TV, then you’ll be happy to hear that Britain’s Got Talent auditions are ongoing at the moment. Auditions kicked off in Belfast in January and they’ve since moved on to Birmingham a few days ago. There have been a few funny comments from panellist David Walliams about the contestants but no one will see any of the action until the show is broadcast in the spring. If you’ve got a talent, then you might be appearing in front of Simon Cowell, David Walliams, Amanda Holden and Alesha Dixon soon. After a series of open auditions in October, November and December that took in venues like the Swalec Centre in Cardiff, London’s Emirates Stadium and the ICC in Birmingham, the successful contestants are currently going through a second round. 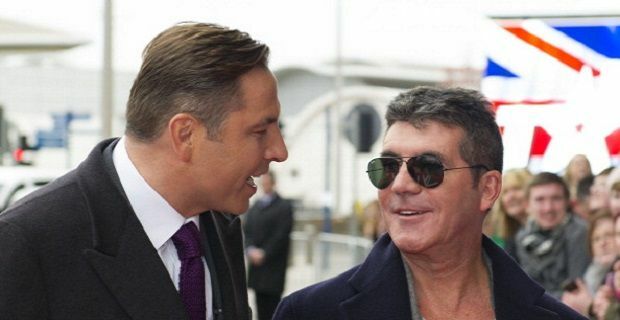 Walliams, who’s calling himself the “head judge on Britain’s Got Talent” has been arguing with his fellow judges. “So tonight @SimonCowell and I actually wrestled to the song ‘Love Changes Everything,” the comic tweeted. As part of the build up to the show, the producers filmed a flash mob taking over a TV set in Wimbledon and took footage of Ant and Dec riding a motorbike and sidecar. All the flash mob performers were dressed in red, white or blue outfits and the show’s hosts were dressed in biker leathers and union flag coloured crash helmets. The footage will be used as part of the opening credit sequence for the eight season of the show.